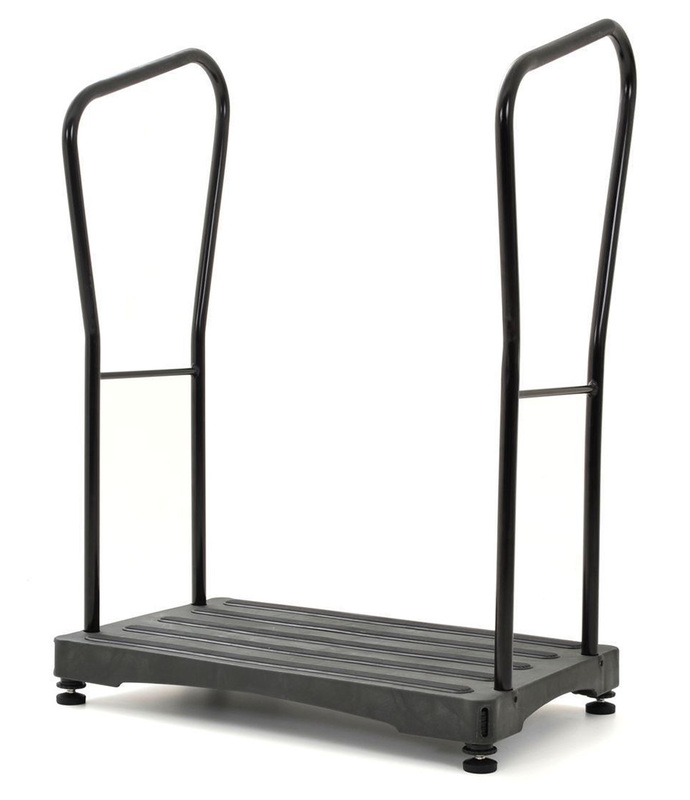 The Big Foot half step is designed for outdoor use. The step is height adjustable (from 4" (100mm) to 5 " (120mm) ) and one or two handles can be fitted without tools for extra stability. 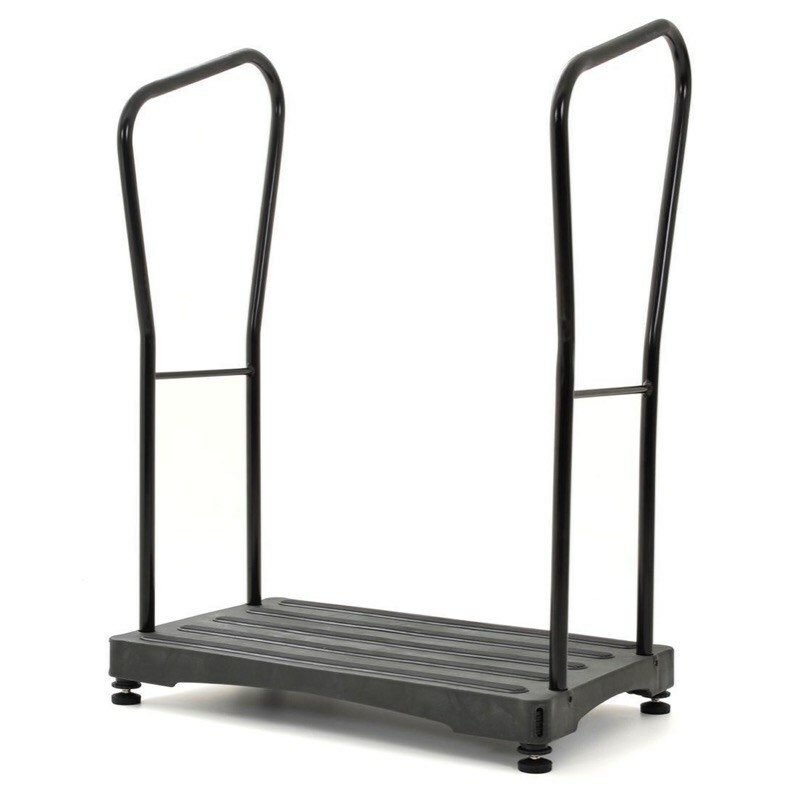 The step halves the height difference between the door and the ground helping the user to be more steady on their feet using its large surface before attempting the next step. There are also fixed grips making the step more slip resistant. The new design allows the maximum user weight to be up to 34 stone (220kg). The two handles are supplied with the step as standard.